What an incredible start he has had to his professional career. After scoring the winning goal in the playoff game on Saturday against the Washington Capitals he was awarded the Broadway Hat, an honor bestowed by the Rangers for being the player of the game. The Broadway Hat, which was purchased by Brad Richards during the team’s early season trip to Europe to honor the guy who makes the biggest splash in the course of a win. For those of you that has just been introduced to Chris, he had quite a distinguished career prior to bursting on the scene with the Rangers. Kreider scored a goal in the 2010 NCAA title game in which Boston College defeated the University of Wisconsin to win the national title and was named to the 2010 Hockey East All-Rookie Team. He also scored six goals for the gold medal winning United States World Junior Championship team in 2010. Kreider he represented the US at the 2011 World Junior Ice Hockey Championships, and led the team with four goals in six games as the USA won the bronze medal. Kreider’s ten goals in WJC play ties him with John LeClair and Mike Modano for third all time among USA players, behind just Jeremy Roenick‘s 13 and Brian Gionta‘s 11. Kreider was named MVP of the 2011 Beanpot Tournament, as Boston College won the tournament for the second straight time. Kreider was also selected to the United States National team to compete in the 2011 IIHF World Men’s Ice Hockey Championship held in Slovakia. In 2011-12, he won a second NCAA title with Boston College, and led the team in scoring with 23 goals and 45 points in 44 games. Chris recently signed a 3 year entry level contract with the Rangers. 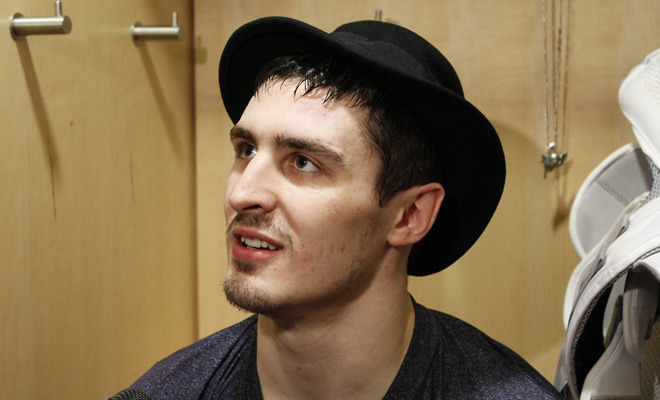 Kreider joined the Rangers the following day for practice. He made his NHL debut for the Rangers in a playoff game against the Ottawa Senators on April 16, 2012. He scored his first NHL goal in game 6 against the Ottawa Senators. His second NHL goal was also a playoff game winning goal, against the Washington Capitals on April 28, 2012, making him the first player in NHL history whose first two goals were playoff game winners. I have had the privilege of knowing the Krieder family and Chris for more than 12 years. He is not only a great hockey player but a great person as well. Until recently we did not watch many hockey games, but now we watch every Ranger game. Not only are his parents rightfully proud of him, but we, like many other Boxford families, have now become his extended family, rooting on every shift for him to continue to impact the team and the game he loves.